A recent piece by Jordan Rothman in Above the Law suggested that lawyers with student loans have an easier time with the debt than physicians do. I respect his analysis, but for your benefit (and entertainment) I’m going to argue the counterpoint. 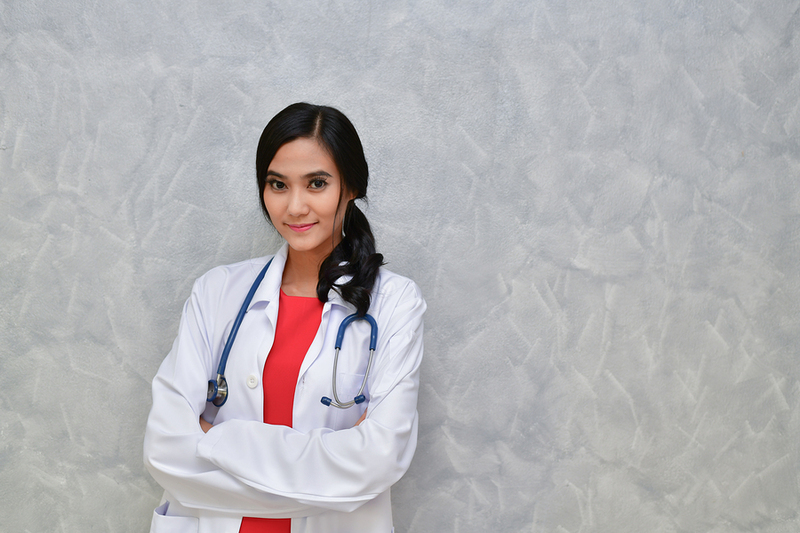 While it’s true that lawyers have fewer years of school and earn a salary much quicker than their physician counterparts, there are a host of reasons I would suggest a friend go to med school over law school from a purely financial perspective. If I were to write a piece solely entitled, Big Law associates are better off than doctors when it comes to student loans, that might be true. However, it would only be the case if the attorney remained at their lucrative job for the duration of their career. We’ll focus on all lawyers in this piece, and hopefully, by the end, I’ve done a bit to illuminate the special financial plight of going for your JD. The ultimate job for a newly minted attorney who wants to maximize the ROI of their degree is a Big Law job. You make around $180,000 starting and rocket up a defined salary scale. If you last for a decade or more, you might even make partner one day. Some attorneys earn $500,000 to $1 million a year or more during their peak earning years. Big Law Investor cites how lawyers have a bimodal distribution of wages. Many earn the Big Law salaries but many earn much less than that. Many who work in the corporate law world do not stay there because the lifestyle can be very intense. How much do doctors make a year? Of course, most physicians do not end up being neurosurgeons either, but the average doctor ten years into their attending career makes over $250,000 according to Doximity, and that’s for academic medicine where salaries are lower overall. If you include private practice, the average would probably be higher. What about lawyers? According to the Bureau of Labor Statistics, the median lawyer earns about $118,000. What about geographic arbitrage? That means when you take advantage of higher salaries in lower cost of living areas. That opportunity is primarily available to physicians and not lawyers. Big Law associates mostly work in extremely high-cost places such as New York and California. The high salaries in law are also matched with a high cost of living. Compare that to doctors. Sticking with my Doximity source, Arkansas, Iowa, and South Dakota all boast average salaries of over $300,000 for primary care fields. What do those three states share in common? They’re all dirt cheap for one. The other is that the median earnings for attorneys in these states is not similarly high. I’ve mostly just spoken about how lawyers earn less than doctors on average, but I should talk about the student loan component and how quickly lawyers earn their money. Law school costs less than med school, partly because you have three years instead of four. Lawyers can practice at normal starting salaries right away while doctors have to spend years making lower wages while their debt continues to accrue interest. The training period for a physician is called residency, which usually lasts three to five years, though some last longer. Typical wages might be $50,000 to $70,000. Specialists will often pursue fellowships after residency of one to three years with similar pay. My wife trained for seven years until she finally earned her first “real paycheck” as an attending urogynecologist. While the doctor is doing 80 hours a week in training, the average lawyer could be paying down debt with their higher salaries (possibly also working crazy hours, just actually making money for it). They also benefit from lower student loans to begin with. How Much Debt Should a Lawyer or Doctor Expect to Graduate with? Even though I scoured the net, the stats specifying student loan debt for layers are awful. The most recent data I could find from the ABA had average private school debt at $122,000, but that was SIX YEARS AGO! If someone has connections at the ABA, ask them to update their numbers. US News rankings shouldn’t be the chief source of information for those interested in pursuing a legal career in my view. To their credit, the American Association of Medical Colleges (AAMC) publishes an updated number every year for med school debt. That average is currently at $190,000 for the class of 2017. These numbers are consistent with what I’ve seen in my consulting business in that doctors owe more than lawyers. However, my numbers have a higher skew than the population, as many with smaller balances just refinance with my bonus links without talking to me. As of the beginning of 2018, my average lawyer client had $211,000 of debt (sample size =48) and my average doctor client had $316,000 (sample size =110). Let’s be generous and say that Josh the lawyer graduates with a loan burden of $100,000. We’ll assume $200,000 in debt for Christine the doctor once she obtains her MD. Josh graduates and immediately earns the national median of $118,000 a year. His earnings grow at the rate of 3%. Christine remains in med school earning $0 while Josh is already working. She then starts out at $60,000 and stays there for four years as a resident. After that point, she finally earns $250,000 as an attending physician, and we’ll adjust that upward at the same 3% rate. You see a similar relationship with most lawyer vs doctor salaries. The lawyer starts out at a multiple of the doctor’s salary during their training. Once the doctor is an attending physician, that relationship flips and the doctor earns a multiple of what the lawyer earns. It doesn’t matter what you earn though, it matters what you keep. Let’s assume that Josh the lawyer has an excess of money and decides to save 20% of his pay perpetually. Christine the doctor saves nothing until her first big paycheck at the $250,000 salary, when she starts saving 20%. Pretend they both put their money in Vanguard and earn 5% long-term after taxes on their money. Christine ends up winning the competition, but only after about 10 years from her graduation. Given most physicians work for three decades or more, that seems like a winning hand. Additionally, I assumed both had the same savings percentage. Christine would have a much easier time saving a larger portion of her salary than Josh the lawyer would. If she had the same lifestyle as he did, then she could afford a higher savings rate since she earns more. The “equal savings rate” assumption clearly biases the math in favor of the lawyers. What About the Student Loan Burdens Though? Assuming both Josh and Christine are both clients of ours, I’d suggest refinancing for Josh and REPAYE for Christine until she’s ready to refinance. With Josh’s loans, his big prepayments would start eating away at principal immediately. Christine would benefit from a low effective interest rate of about 4% on the REPAYE program, which would grow at a simple interest rate. Although Christine eventually wins out, it’s not by nearly as much! One might look at this and think the argument isn’t all that compelling. However, now to address the elephant in the room, PSLF. Christine the doctor is at a not for profit hospital at her income level. That means she qualifies for Public Service Loan Forgiveness. If Josh the lawyer went for PSLF, it would probably be at a $60,000 to $80,000 a year government job. That means the true comparison is the cash flow Christine spends while going for PSLF for doctors. If I model this, it would be about $138,000. Let’s rerun the net worth numbers and just add a drag on the portfolio growth based on what Christine is paying on her loans. The breakeven period is only six years in this case! When considering PSLF for lawyers vs. doctors, it heavily tilts the battle in favor of doctors. But What about the Rich Lawyers in Big Law? I will cede the point that some lawyers who last at Cravath for their entire careers do better than many physicians. However, to say that lawyers with student loans have a much better path can only be true if you pick a flattering comparison point. The New York City Big Law associate (let’s call her Sarah) earning $180,000 does much better than her boyfriend Nick, who’s planning to do a two-year infectious disease fellowship when he gets out of residency. However, this is a snapshot in time before the Sarah the lawyer decides that she wants to actually have a life and takes a job at as an in-house counsel five years in. If she decides to change scenery away from New York, her pay will probably take a big hit. Meanwhile, Nick’s salary would probably go up. If Sarah remained in Big Law, makes partner, and Nick stays in hospital-based employment, then she will have made the financially wiser decision. A lot of things must happen though to be true. You’d have to limit the scope of your comparison to your circle of friends in a high-cost big city on the coasts. You would have to be a high earning Big Law attorney yourself. The doctors you know would be researchers at heart, always more interested in what they can discover what their bonus structure looks like. I didn’t model the impact of the doctors reducing their income through retirement savings to show how it increased their loan forgiveness. I also didn’t discuss how small firm lawyers earning $75,000 a year can still handle their loan balance even if it’s over $200,000. No matter your situation, you can save a lot of money and make your educational investment worthwhile financially. You need a good plan though. If you’re struggling and wondering how to meet your financial goals with huge law school or med school loans, we can help. If you’re looking for a student loan consultant, feel free to drop us a note.